“Al cap dels sèt cent ans, verdejara lo laurèl. This quote was said to be a prophecy given by a Cathar Parfait in the 13th century. 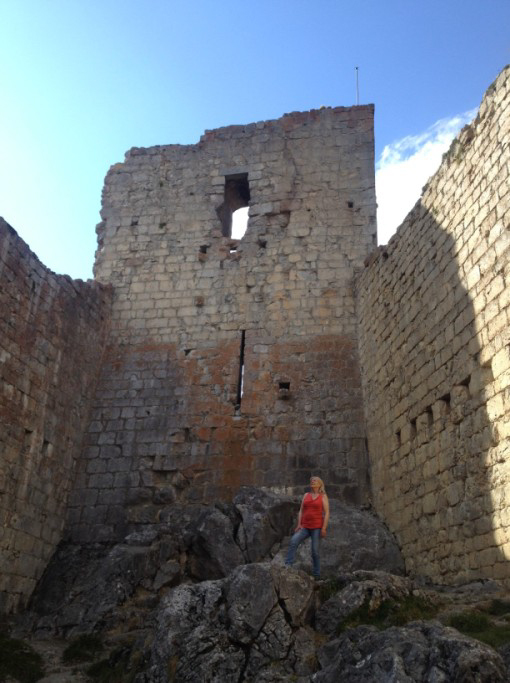 Seven centuries after the 1244 massacre at Montsegur, many souls would be reborn to take up the torch and return to this land called Languedoc, to find the fragments of the Cathar church of love, the peaceful way of the dove. In 2006 I rented a flat in Rennes-le-Chateau right next to the Magdalene Chapel. The apartment shared a stone wall with the Magdalene grotto and garden and I soon became the self appointed gardener and caretaker. Shortly after my arrival I met Henry Lincoln while I was playing my troubadour harp in the village restaurant, which was run at that time by Rennes researcher and author Jean-Luc Robin. Over the ensuing years, Henry and I have developed a fond friendship. Most readers will know of Henry from his co-authored book ‘Holy Blood, Holy Grail’, although if you mention it to him, he will now insist “it’s nothing more than an hypothesis”. But the book certainly sparked a marked resurgence of interest in the Magdalene mystery, the grail quest and Rennes-le-Chateau. These days, the village is filled with tourists, seekers and wishful diggers for treasure, but more than this, it is a place for dreaming and remembering, a meeting place for writers, researchers and pilgrims on the grail trail. 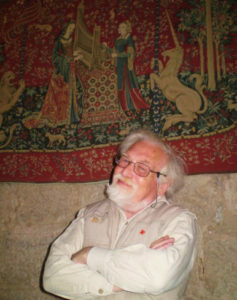 In the 1970s Henry produced with the BBC and TV2 Danmark a series of films and documentaries, on the Cathars, Nostradamus, Egypt and Rennes-le-Chateau. Since 1982 when Holy Blood, Holy Grail was first published, Henry has written ‘Key to the Sacred Pattern’ and ‘The Holy Place’, in which he presents his discovery of a perfect pentagram in the Rennes-le-Chateau landscape. It is quite extraordinary, as the measurements are exact, identifying five Templar sites and high points in the landscape. The pentagram embodies the divine harmonic proportion, sometimes called the Golden Section. Henry describes this region as a place where Venus’ perfect harmony and beauty touch the earth as Mary Magdalene. 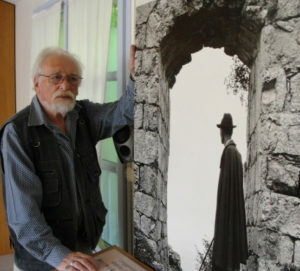 In 1972, Henry Lincoln was on location at the high mountain fortress of Montsegur to film a BBC Chronicle documentary on the Cathars and the fateful burning of the faithful; those who chose to walk into the flames rather than forsake their beliefs. On the final day of filming, Henry stood in the doorway of the great chateau describing how the Cathars descended the path leading to the pyre two by two and singing. A few days after the BBC crew had returned to London, Henry received a frantic phone call from the director, saying that they needed to return to Montsegur immediately to do a re-shoot. None of the footage from the last scene was usable, as during Henry’s scene describing the Cathar procession to the fire, he appeared to be surrounded by flames. I asked Henry if the BBC had kept any of this discarded film, but, sadly, it had been destroyed. What a shame that no one at the studio had a sense of the significance of that strange footage! There is a time for Burning. The better to prepare for newness after sleep. Ignite to a joy of flame gold life. Or else the time may slip. For those who know the meaning in the flame. “Roche was very quiet and self-contained which made him curiously powerful. His tiniest gesture became incredibly potent. Much of the time we just sat, enjoying one another’s presence. A very tall, thin, yet distinguished looking man, he looked rather other-worldly, translucent as if he was ordained with a special quality of light. 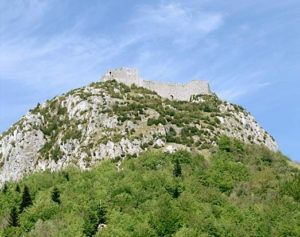 Henry explained that although people assume that the Cathares disappeared in 1244 with the fall of Montsegur, there are still remnants of Cathar families throughout this region and the traditions were handed down throughout the centuries. 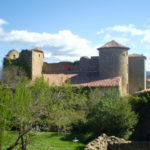 For example, the family Bonzom in Quillan is phonetic for the French word ‘bonshommes’, the good men of the Cathar way. And another Cathar name is in rue Marty in the nearby town of Couiza. And awaiting, ere it flowers, for a sign from the bright azure sky. In June of 2012, Henry and I visited the Deodat Roche Museum in Arques, a little village in the Aude region of the Languedoc and where Roche began and ended his centurion years. After much prodding, I finally persuaded Henry to venture into this self-imposed ‘forbidden territory’. He was quite upset that the new museum had totally destroyed the character of Roche’s lovely village home and turned it into a sterile, modern edifice. Once inside though, Henry was impressed with the library of Roche’s books and articles and found the gallery of photographs of him brought back fond memories of their visits together. We found ourselves perusing the Cathar Bible, which the Cathars had translated into their own Occitan language. It was illustrated with lovely medieval images and one that caught our eye was a large red fish. 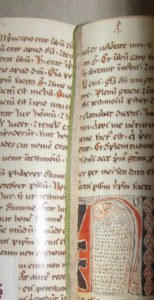 The caption under the copy of the bible indicated it was from the Rituel Cathare de Lyon in the Bibliotheque Municipale de Lyon. Next, Henry spotted something unusual inscribed underneath a carved cross which was perhaps a tombstone or marker stone of a Cathar family. He said the lines formed the Egyptian hieroglyphs Nefer, meaning God, and Meri, meaning beloved and so – Beloved of God. These hieroglyphs were surrounding a glyph that looked like a fish….possible clues to the Cathar awareness of Jesus’ knowledge received from his time in Egypt’s temples? I remembered Henry telling me about that moment so many years ago when he had a first meeting with Michael Baigent and Richard Leigh in the garden of his home in the English countryside. They were discussing their respective research on the Rennes-le-Chateau mystery and the possibility of a royal bloodline from the House of David. During this meeting, Henry had said, “There is something ‘fishy’ going on here”. That moment and statement was the seed which would grow into the pivotal book in this modern grail quest, ‘Holy Blood, Holy Grail’. 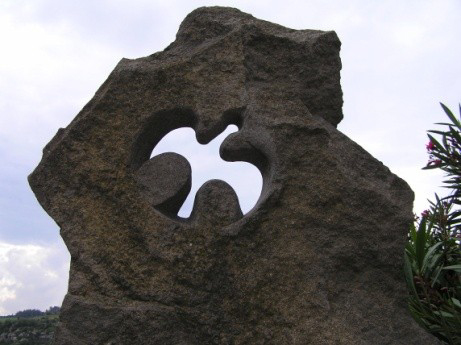 Images of various other artifacts in the Roche Museum included a metal pentagon and a 12th century stone ‘colombe’ or dove. There are many references to the pentagram being a significant symbol in Catharism. Firstly, that it represents perfection, the goal of the Pure Ones. The pentagram embodies the Divine Proportion, sometimes called the Golden Section. This is the proportion found in the graceful spiraling forms of nature, the harmonics of music and is basically the principle of beauty within all of creation. The pentagram is also a reference to the Hermetic wisdom of Egypt and embraced by Platonists and Pythagoreans and the Kabbalists. 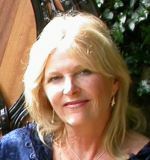 Perfection as it refers to one’s spiritual path was often called The Way and was termed by Hermes the path of initiation, the Ancient Road, according to Victoria LePage in her book ‘Mysteries of the Bridechamber’. 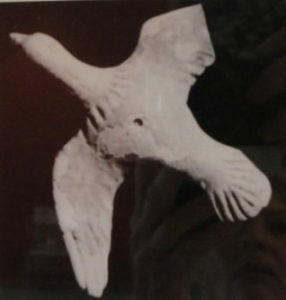 In the Roche museum there was a small stone carving of a white dove, said to have been found at Montsegur. 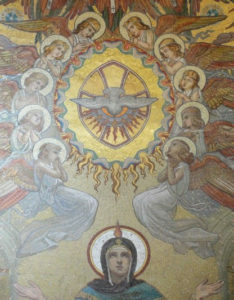 We often see the dove representing Holy Spirit, or Ruach in Hebrew, descending in the Baptism, bathing the initiate in pure light and in the waters of the spirit. The dove is associated with Sophia, purity and the feminine wisdom. In ancient Sumerian the word for dove is Hu. The Egyptian hieroglyph Hu is depicted as a dove and Iahu is listed as a name for Isis in Deimel’s Akkadian-Sumerian Glossary. Ia Hu is a Sumerian phrase meaning ‘exalted dove’. 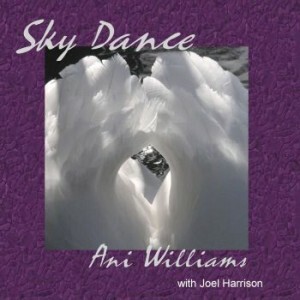 The dove has a long association through many eons and cultures with the spirit of purity and love. Yona or Ionah, also meaning dove, is also the name Jonah or Ionnes, John. 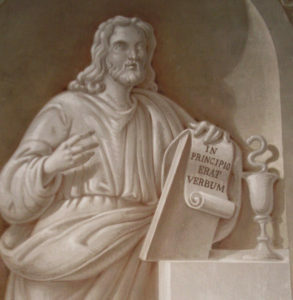 We can relate the dove to John, and perhaps for the Cathar, the Secret Book of John. Many legends speak of the lost treasure of Montsegur that was carried over the mountains to the grottos or chateaux of the Sabartez. 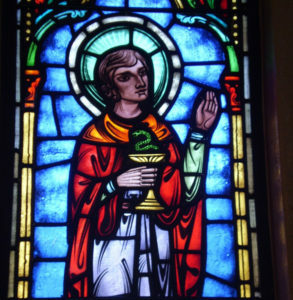 Some say the precious treasure was a Lost Gospel of Saint John.